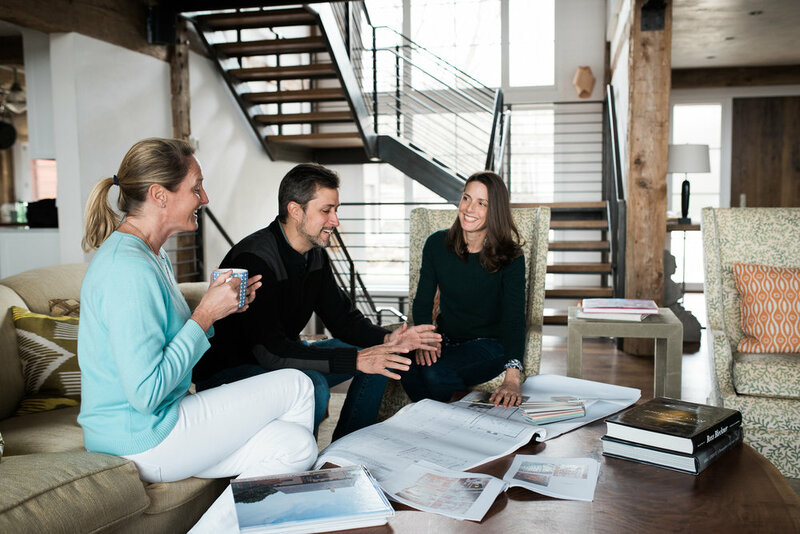 Davis Raines Design offers project management, budgeting, space planning and organization, kitchen and bath design, lighting design, selection of interior finishes, custom furniture, fabric design and selection of art and accessories. Karen enjoys the collaborative process, from the first meeting to the project’s completion. Initial sketches, design scheme, architectural plans, material selections, timelines and budget preparation are the foundation of a successful project. The design process remains flexible throughout the project, but is anchored by this initial phase. Karen works to integrate existing pieces with materials, fixtures, furniture and other design elements from her extensive network of products and specialty service providers. If needed, Karen can custom design elements to create a unique look or to fit a specific space. Karen implements value engineering to balance unforeseen costs and maximize effective design. This means you will get the best value for your investment and a design that you will love to live - while your budget is carefully managed and respected. As an experienced Project Manager, Karen can take the lead on your project. She oversees subcontractors, architects, furniture and fixture selection or fabrication, and all trades involved in installations. This oversight ensures a cohesive design, provides greater control over schedules and budgets, and ensures thorough project completion. A retainer is allocated for the initial design work and is based on the size and complexity of the project. Fees are charged at a predetermined hourly rate, as opposed to the industry standard percentage of the project cost. All materials discounts are passed through directly to each client, which eliminates potential conflicts of interest and helps maintain budget discipline.